CSUN men’s soccer head coach Terry Davilla announced nine new players that will join the roster for the 2015-2016 season in a press release on Tuesday. Adrian Vera, Chester Castellaw, Andrew Rizeq, Alejandro Gomez, Stuart Close, Jules Cailliau, Papy Diouf, Ramiro Baranza and Trevon Deminson make up the class brought in to replace a departing senior class that included 2015 MLS first round pick Sagi Levi-Ari and second round pick Edwin Rivas. A 6-foot forward, Vera was to the LA Galaxy Development Academy team and was named to the United States U18 National Team. He helped the Galaxy capture a Development Academy National Championship as a member of the U16 LA Galaxy squad. Vera attended and played at Cathedral High School where he was coached by Mike Munoz, who was also his LA Galaxy Development Academy coach. Castellaw is a Hidden Hills, Calif. native that graduated from Fusion High School. The 5-foot-10 forward/midfielder played his club soccer for the Real SoCal. Rizeq is a center midfielder from Thousand Oaks, Calif., who attended Thousand Oaks High School. Gomez is a 5-foot-10 defender who hails from Santa Rosa, Calif., and played at Montgomery High School. He played his club soccer for Atletico Santa Rosa under head coach Messias Souza. At 6-foot-2, Close is a centerback who has played for the Houston Dynamo Academy with head coach James Clarkson. He is originally from the United Kingdom and was a member of the International Baccalaureate Program at the British School of Houston. Cailliau is a 5-foot-11 midfielder from Belgium who played club soccer for Overboarder KVV Coxyde U19 while he attended Atheneum Veurne High School in his native country. Diouf, Baraza and Deminson are all transfers with a range of collegiate experience. Deminson and Baraza are both transfers from Taft College and are Bakersfield natives. Demison is a defender while Baraza is a forward. They helped lead Taft College to its third-straight Central Valley Conference title. Baraza scored 18 goals last season, had two assists and finished his season with 38 points. Demison scored two goals, added three assists and finished with seven points. Diouf played one season at Louisville with appearancs in 10 matches for the Cardinals. He is originally from Dakar, Senegal and played three seasons of prep soccer at Avon Old Farms School in Connecticut. 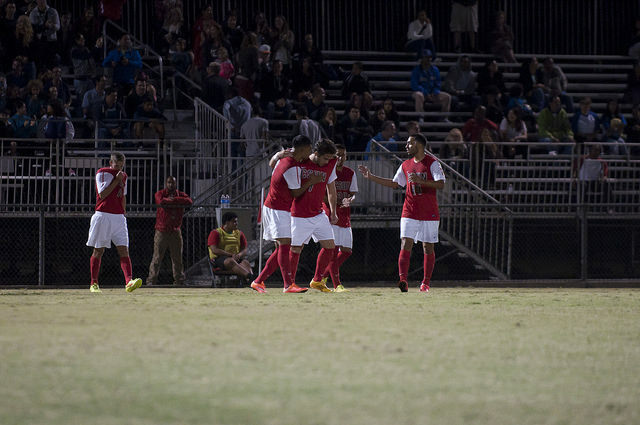 The Matadors finished 7-9-3 last season with a 1-1 tie in double overtime of their final home game of the regular season against CSUF that prevented them from postseason play.